I have always had a creative bent of mind. Starting out as a Kathak dancer for 16 years and meandering into the arts and crafts right after my 10th standard, I was very sure of getting into a creative field right from the beginning. With an innate flair for fashion and accessories and getting selected into the only premier Fashion Institute in the country NIFT, I grabbed the fourth place nationwide amongst the 30 most talented of designers. Thus my glimmering and truly satisfying journey into fashion began and it still continues with equal fervour. What are you fascinated by at the moment and how does it inspire your work? I am highly fascinated with bringing together different elements and experimenting with their blend. It’s enthralling when a thought is conceptualised and takes a life of its own. I subconsciously add aspects of it into my creations and it does reflect in all my collections. The fashion industry is very competitive, how difficult is it generating sales and convincing retailers, etc. to stock your clothes? When you offer something which is authentic, has exceptional quality – right from the materials used for embellishments and surface ornamentations to luxe fabrics, and attention to every tiny stitch that goes into creating excellent clothes, you will definitely find a niche clientele who know and appreciate specialised bespoke craftsmanship. Similarly with retailers, once you know you will not compromise on the quality of your products and are stocking the best products that the country has to offer, it doesn’t need much convincing as the clothes speak for themselves. What makes your clothes different from other fashion designers? It is the use of unusual fabrics, the juxtaposition thereof and the varied concepts that are imbibed in to creating them. Also, that one thought that gets your collection started is unique to only you and what makes it different is the treatment that you give it. How do you manufacture your designs – do you outsource it? With a state-of-the-art set up, the Nivedita Saboo production house takes immense pride in manufacturing everything in house. From developing fabrics to various embroideries and surface ornamentations, embroidery blue prints, printing, stitching and finishing, each process appoints some of the most talented craftsmen and Industry professionals that ascertain the quality at each and every step. The atelier is always abuzz with activity, brainstorming and a whole lot of manufacturing of beautiful couture pieces. Tell us about your collections. The process of creating all my collections has always been very organic. They are mostly inspired by my travels. The collection which I just showcased is called ‘A Rendition of the Raj’ which is my take on Colonial India and how that era influenced our sartorial choices. From using ingenious fabrics like flax, honeycomb cotton, raw slub silk, Bhagalpur silk, variations of wool, herringbone, pashmina, houndstooth and more, I try and experiment with each creation and showcase a compilation that is invigorating, refreshing and definitely one-of-a-kind. Who do you think is the ideal Nivedita woman? Someone who can carry classics with a contemporary outlook… someone who can blend tradition and modernity with ease and above all, someone who can be herself and stand out in a crowd! Do you use Facebook, Twitter, YouTube, Pinterest, etc. to promote your business? How successful has it been for you? Do you have any advice on how businesses can use social media to promote themselves? Social Media is definitely the way forward. With so many online avenues, putting your brand out there, communicating first hand with your followers, giving them a glimpse of the events, products and candid shots, online presence caters to a different segment of people who are more interactive. I love being on Instagram as it allows me to communicate with so many followers, get straight feedback, and you always have your finger on the pulse which is so important for your business. Are there any types of clothing that you avoid wearing? I refrain from wearing anything that I am not comfortable in. What are the top 5 trends for Spring/Summer 2015? Ingenious and enigmatic with an impeccable eye for detail, Nivedita Saboo has made her drapes appeal to couture aficionados. Artistically enhancing cuts and details, her silhouettes talk to one’s body like it has been tailored for each individual. Nivedita’s design sensibilities have been appreciated by connoisseurs of style and have carved a niche of their own. Her love for fashion and styling was incepted and valued at NIFT Delhi. She went on to garner further expertise as the Head of Design at Arvind Brands. Nivedita is deeply rooted in the world of fashion and her creations are an amalgamation of Indian detailing on contemporary designs. Drawing inspiration from her experience, Nivedita created ‘Nivedita Saboo Couture’ in 2002. In her decade long journey with fashion, she has styled a host of Bollywood celebrities including the likes of Deepika Padukone, Kareena Kapoor, Karishma Kapoor, Jacqueline Fernandez, Raveena Tandon, Neha Dhupia, Vivek Oberoi, Randeep Hooda, Diana Hayden, Isha Koppikar and Prachi Desai. Nivedita forayed into the international fashion arena by showcasing her collection at the London Bridal Week, UK in 2011. Subsequently she showcased her designs at the Paris Fashion Week and Hong Kong Fashion Week which credited her with a phenomenal response. Recently the brand made its debut on the red carpets of Cannes by styling Maria Shatalova, a 25 year old businesswoman, model and wife of Russian International and Premier league football player Pavel Pogrebyak. 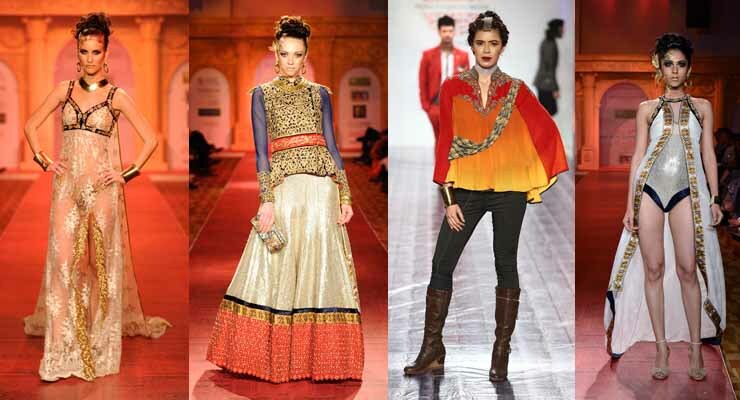 ‘Nivedita Saboo Couture’ has made its presence felt in the national and international fashion fraternity. The brand’s strength is accentuated by innovation in design and the trust of Nivedita’s select clientele, who are on the lookout for something beyond the ordinary. and now your MP3’s play right through your car stereo.